When it comes to a memorable golf experience in North America, Cape Breton's world-ranked courses truly deliver. 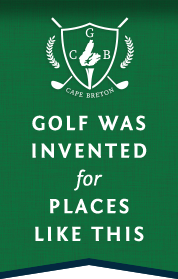 Not only does each course provide a challenging yet enjoyable round for players of all skill levels, each course also offers a chance to discover Cape Breton Island, recognized as one of the world's best islands by Travel + Leisure readers. Our Golf Concierge is ready to build you a customized itinerary for an unforgettable golf vacation. Here are some sample itineraries to give you an idea for planning your getaway!